Airy scenic summit with many routes. This summit has much to recommend it, being high & cliffy, having the heart shaped Lough Ouler below it and being part of the fine ridge from Mullaghcleevaun to Laragh. 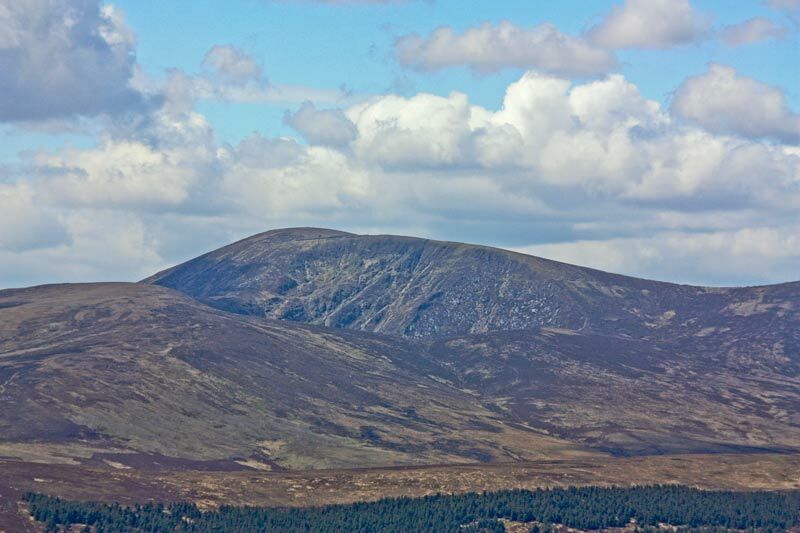 It overlooks much of the heart of Wicklow. Other than getting to it from that ridge you can reach it from the Wicklow Gap O0752 0017 A from which it is a simple though stern climb of about 350m or from the Glenmacnass Car Park at around O1123 0303 B. This route crosses the Glenmacnass River, which is prone to fast flooding and goes via the NE top, a minor ridge. Either way it's going to take about 1h30 to 2h round trip.